I love the look of a fireplace during the Holidays. It adds a warm and cozy charm to any room especially if it is decorated with garland, lights and filled with flameless candles. Even if you already have a fireplace in your living room, this faux fireplace makes a great addition to any room. It looks so real, your friends and family will have to look at it twice. 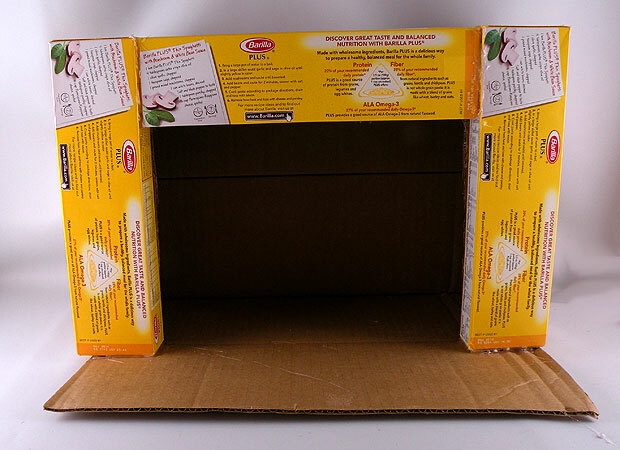 It is made from all recycled materials and it is very easy to create. You can add your own holiday decorations to make it your own style. 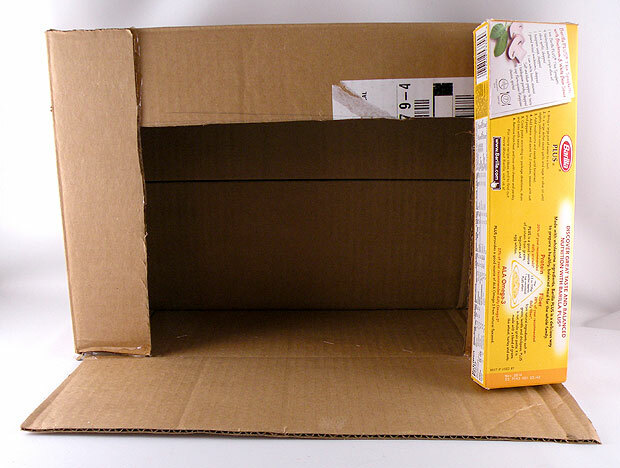 Turn the box on its side. Lay on side of the flap down to create the front floor of the fire place. 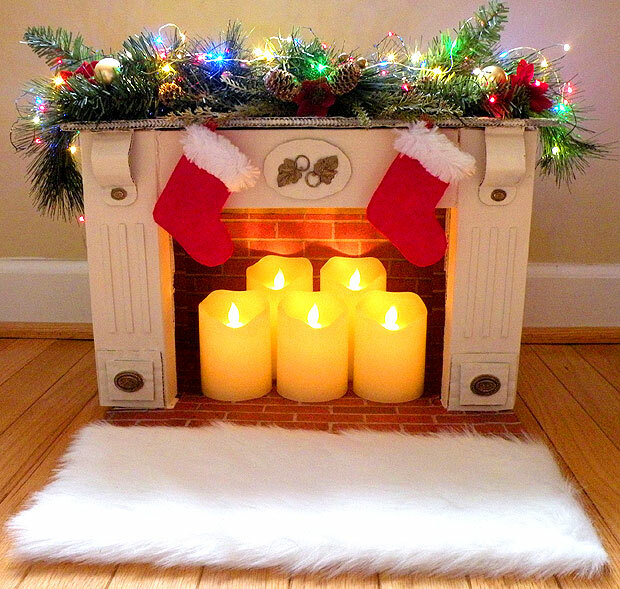 With a glue gun, attach the back flaps together to make a solid back of the fireplace. Cut the sides and top of the fireplace opening the size of the spaghetti boxes. With a glue gun, glue the flaps in place as shown above. 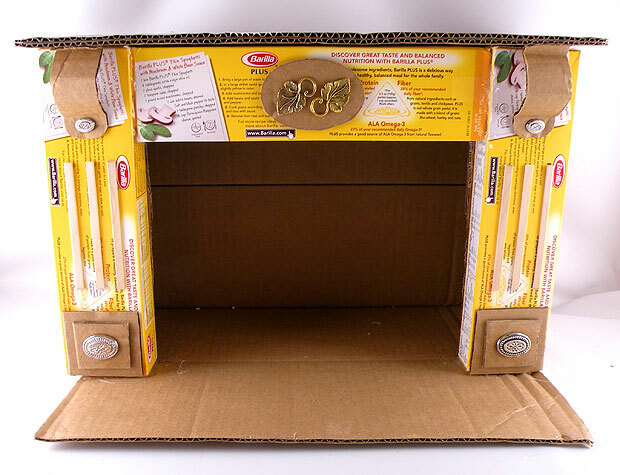 Seal the open end of the pasta boxes and glue them on the sides and top of the fireplace opening. 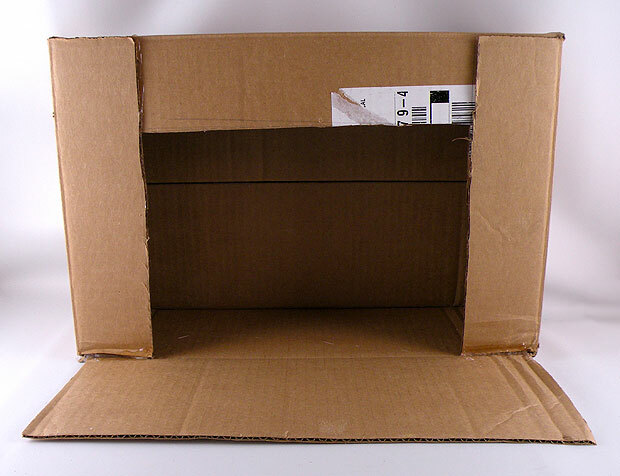 Cut a piece of cardboard slightly larger than the top and attach to form the mantle. 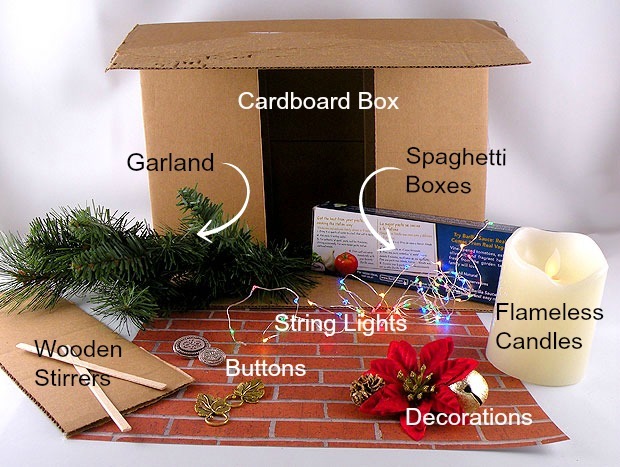 Glue wood stirrers, cardboard and button accents to the front of the fireplace. Draw a stocking shape out of paper. 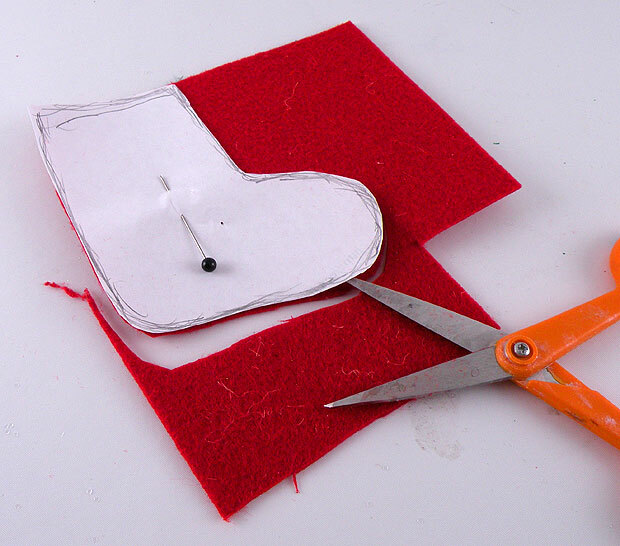 Cut out the stocking out of stiff red felt. 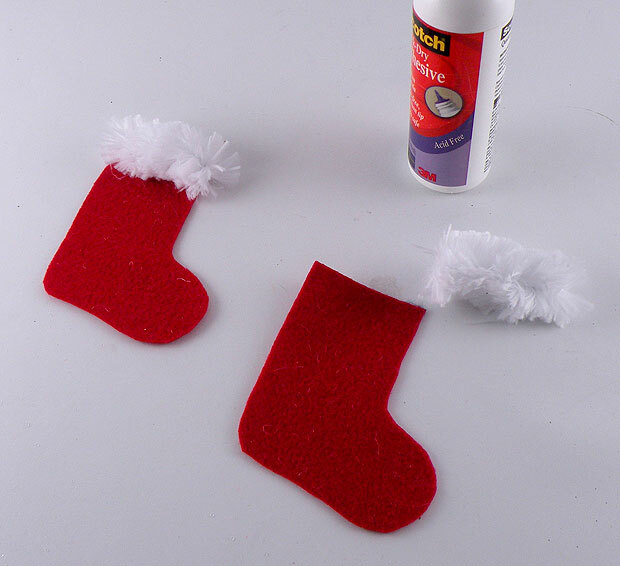 Glue a piece of white fluffy trim to the top of the stocking. 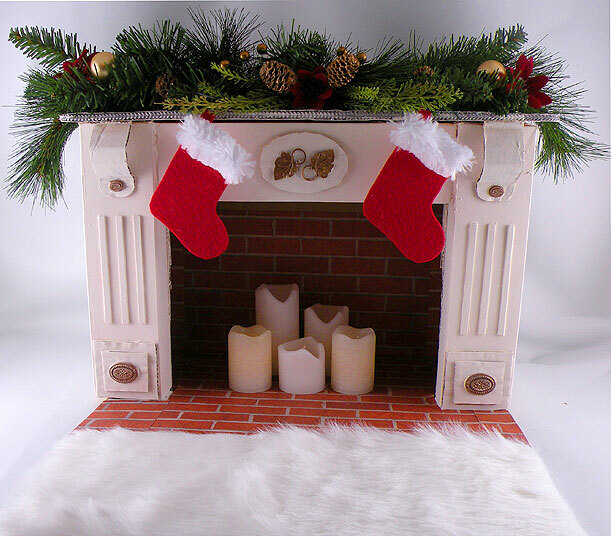 Glue sheets of brick scrapbooking paper to the inside and front of the fireplace. Fill the fireplace with flameless candles and add battery operated string lights to the garland to finish your masterpiece.